This week we ran our last Free Range Dairy event of the summer at Bar house farm in Gloucestershire. Jenni and Jerry along with their cows have been the stars of the events. Jenni making free range cakes and everything in between for lunches that people couldn’t resist after a walk around the farm, pictures with the cows and plenty of fresh air. It’s been great to have Cotteswold Dairy there as well as at the Gloucestershire events as it’s a real collaboration between Free Range Dairy Network, Cotteswold Dairy and the free range dairy farmers plus all the people who have come to the events working together to get free range milk to the market. This is the last event of this year but they’ve been such a success we’ll be back with more next year. 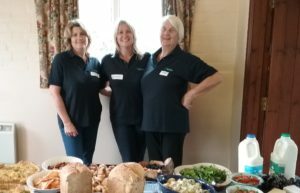 For two of our larger events this year in Gloucestershire and Yorkshire, we partnered with Sustainable Restaurant Association (SRA) and World Animal Protection. At these events we had almost sixty people at each one, all interested in finding out more about the work we’re doing at Free Range Dairy Network. We’re continuing to forge a great relationship with SRA and it was fantastic to see once again their members at the lastest event. 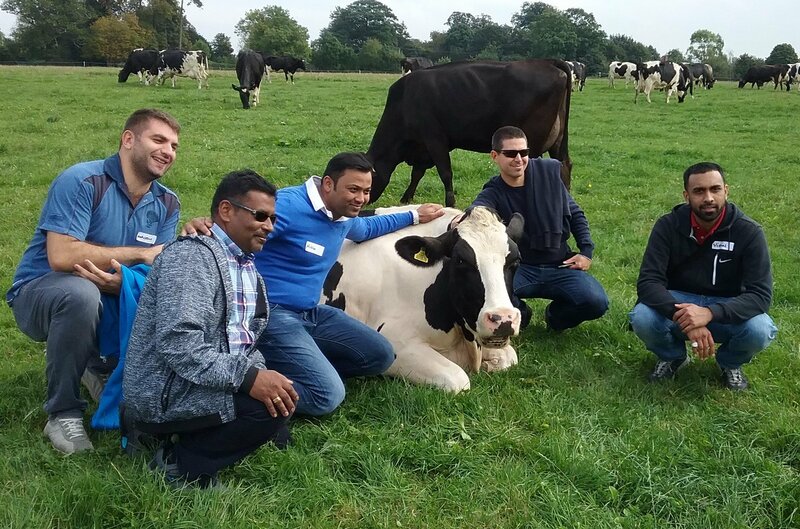 Nitin Padwal from the Cavendish Hotel, was one of the first people to adopt Free Range Milk in London and thanks to him and others like Nitin we’re supplying milk to hotels, restaurants, cafes, universities, retail and catering companies across London, Gloucestershire, Cumbria, Yorkshire, Lancashire. We’re looking forward to further cementing our relationship with SRA and their new CEO Andrew Stephen and all the great work they have planned for the future. World Animal Protection has been a big supporter of Free Range Dairy for many years and animal welfare as well as a producing healthy milk from a sustainable low impact farming system is at the core of our work. Their campaign Full Fact Milk had 50,000 people sign a petition saying they wanted free range milk that ensured cows grazed for at least 6 months of the year. This is why we use #180days as well as #pasturepromise #freerangedairy on social media, we believe that for milk to be called free range it should come from cows that graze for at least 6 months a year, over half of their lives outdoors. We believe in giving customers what they want and with a growing interest in healthy food, sustainability and animal welfare we see the Pasture Promise label as a great way to tick many of the boxes people care about when looking for an ethical milk product.